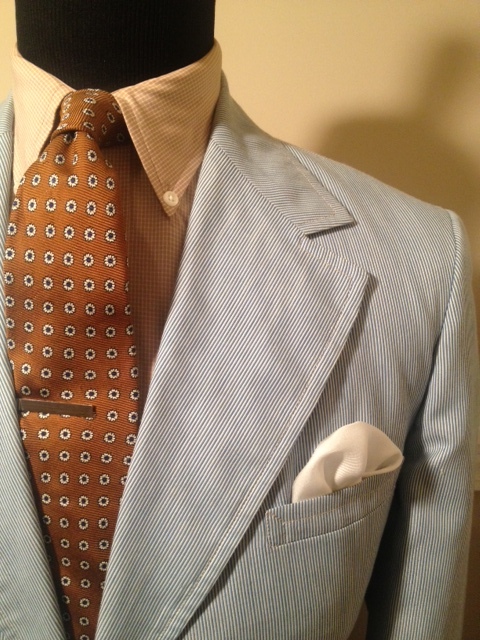 The first piece added is a Blue Conductor Stripe Blazer that features wide notch lapels, rear center vent, two button closure, flap pockets, and partial interior lining. 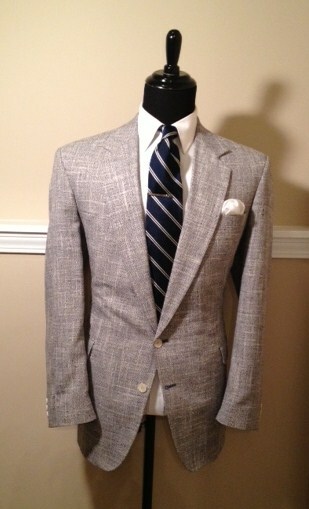 This magnificent piece is a size 42 Long and priced at $38.50. 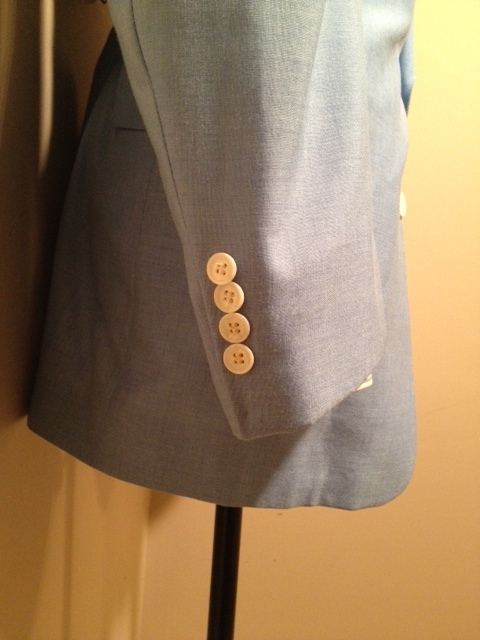 The next piece added is an amazing Powder Blue Sport Coat that features notch lapels, rear center vent, original ivory buttons, two button closure, flap pockets, and full interior lining. 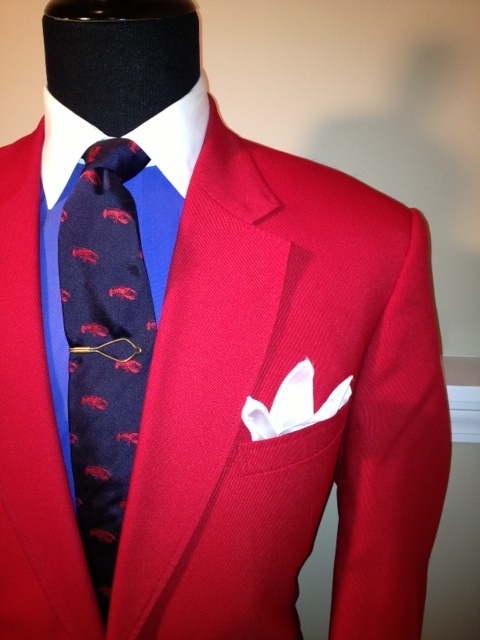 This sport coat is a size 46 Long and priced at $38.50. 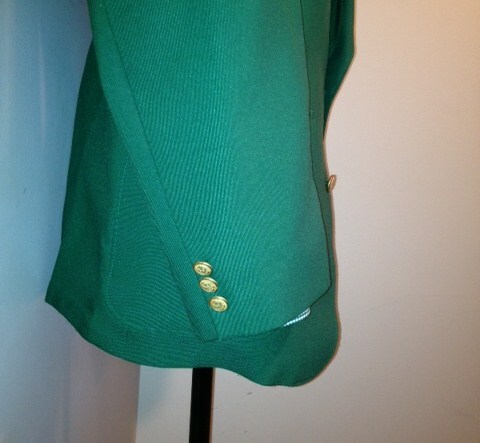 The next up is a Kelly Green Blazer with original gold buttons, notch lapels, rear center vent, two button closure, patch pockets, and partial interior lining. 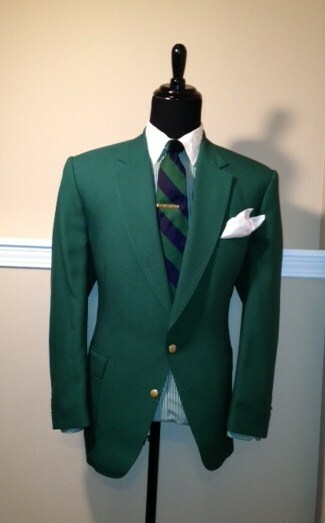 This lightweight jacket is a size 46 Long and similar to the one issued to the Master’s Golf winner. 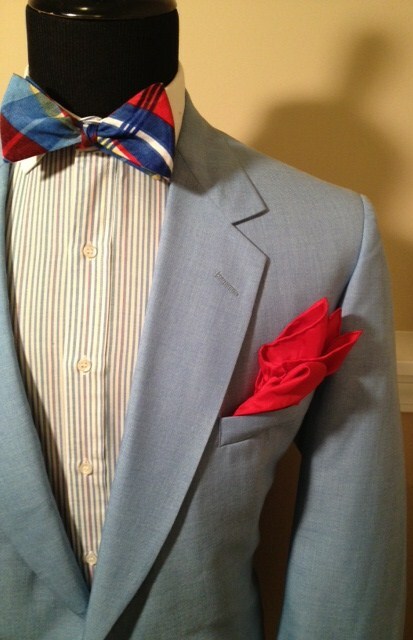 The asking price is $38.50. 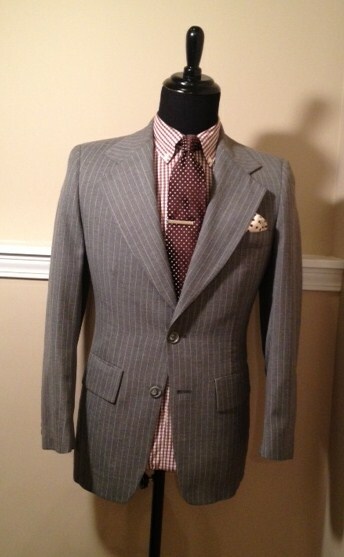 And next we have added this Vintage Grey Chalk Stripe Sport Coat that features the vintage wide notch lapels, rear center vent, two button closure, flap pockets, and partial interior lining. 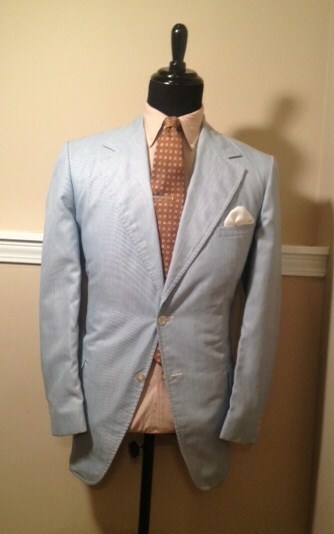 This vintage dope sport coat is a size 38 Short and priced at $38.50. 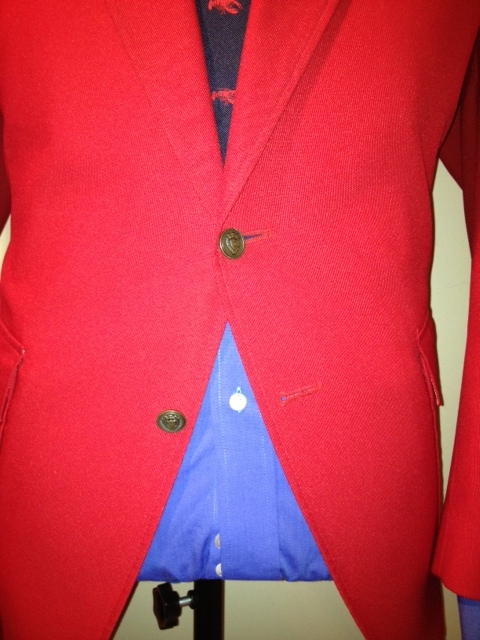 Another Red Blazer has been added that features notch lapels, rear center vent, original brass buttons, two button closure, patch pockets, and full interior lining. 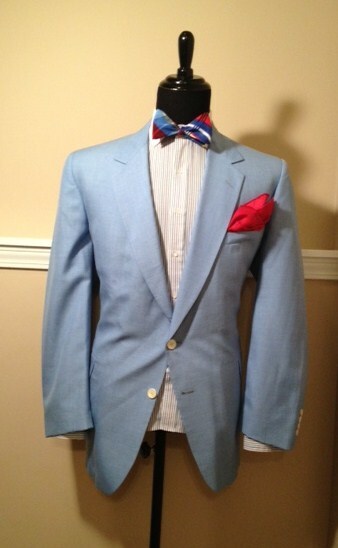 This blazer is light weight, size 46 Long, and also priced at $38.50. 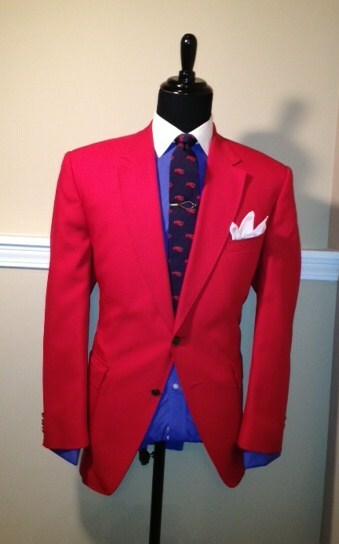 Be bold…stand out…go there with this immaculate red blazer! 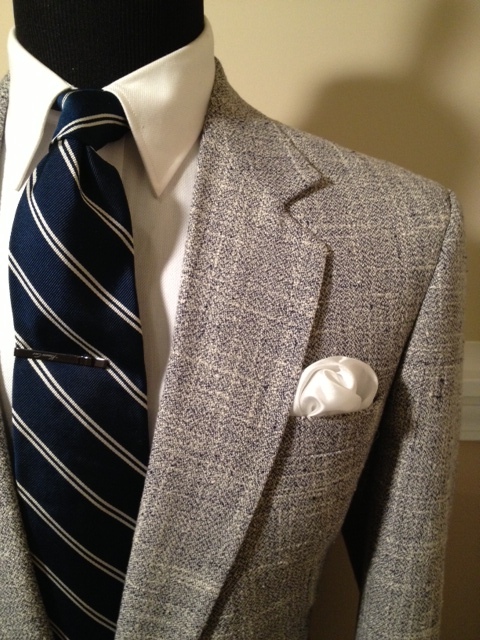 The next piece added is this Vintage Navy Sport Coat that features vintage wide notch lapels, rear center vent, two button closure, patch pockets, and custom houndstooth partial interior lining. 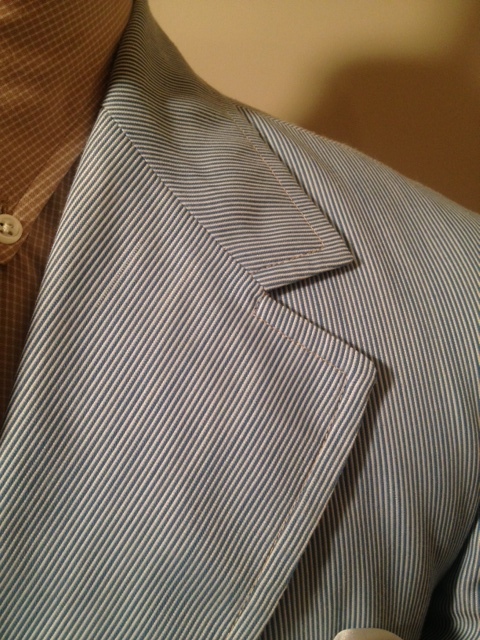 The tag on the inside says that the sport coat is a size 39R, but this piece was previously altered and is more like a 38R. 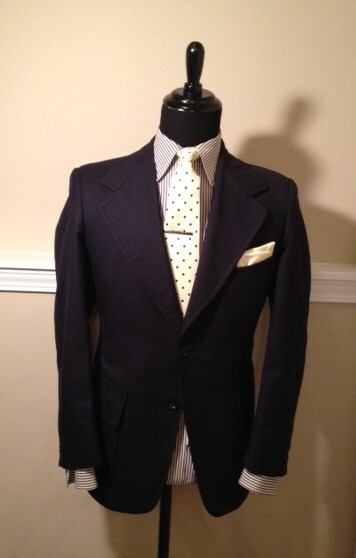 This piece is affordably priced at $38.50. 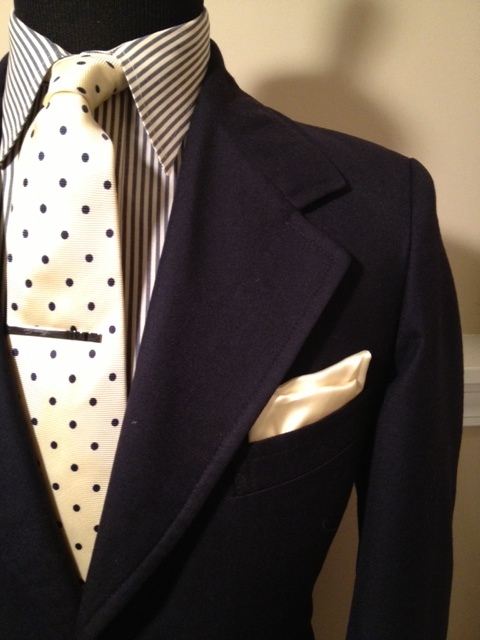 The next piece is a rare White/Navy Textured Sport Coat with original ivory buttons, notch lapels, rear center vent, two button closure, flap pockets, and full interior lining. This rare beauty is a size 46 Long and priced at $38.50. 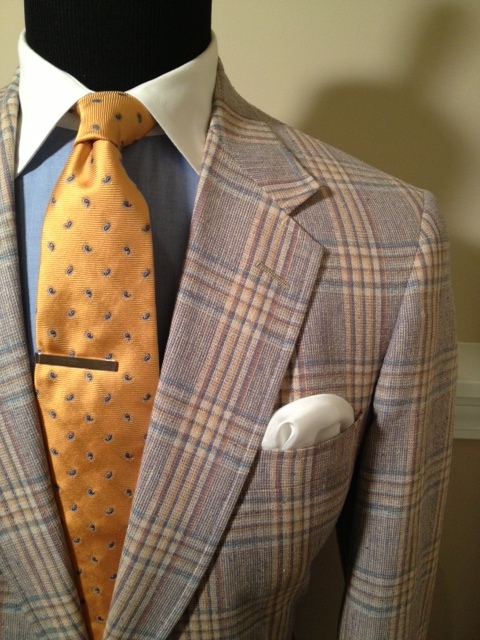 Finally, we have this Austin Reed Plaid Sport Coat that features original ivory buttons, notch lapels, rear center vent, two button closure, flap pockets, and 100% silk full interior lining. 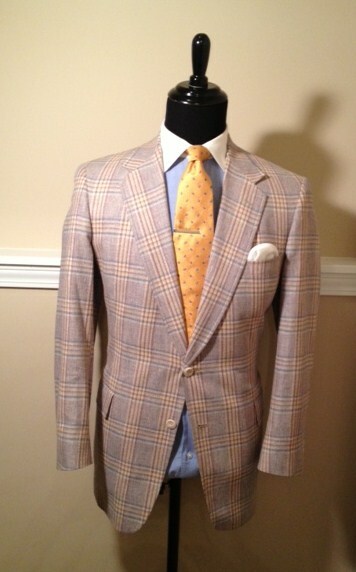 This sport coat is a 39R and priced at $38.50. 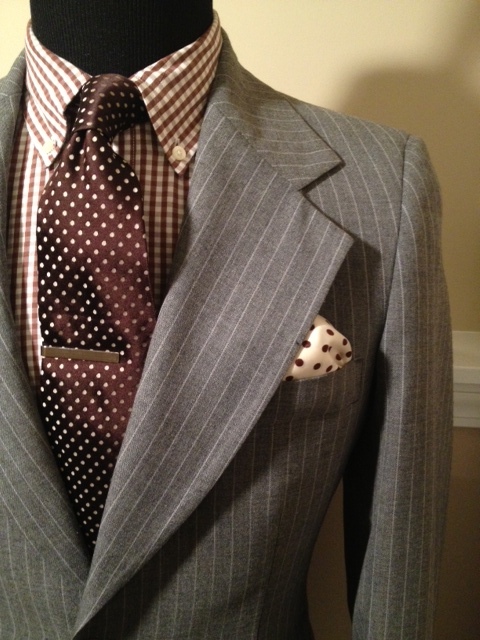 To purchase any of these pieces are similar dope vintage menswear, please visit the online menswear boutique by clicking on the [Menswear Boutique] in the menu header. 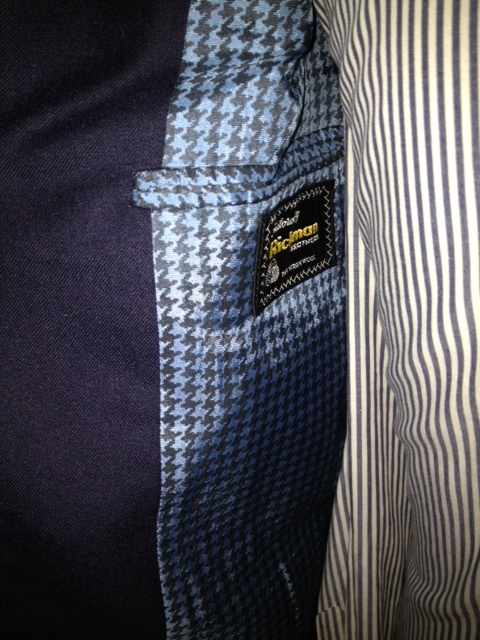 Thank you for supporting Vintagedopedealer.com!! 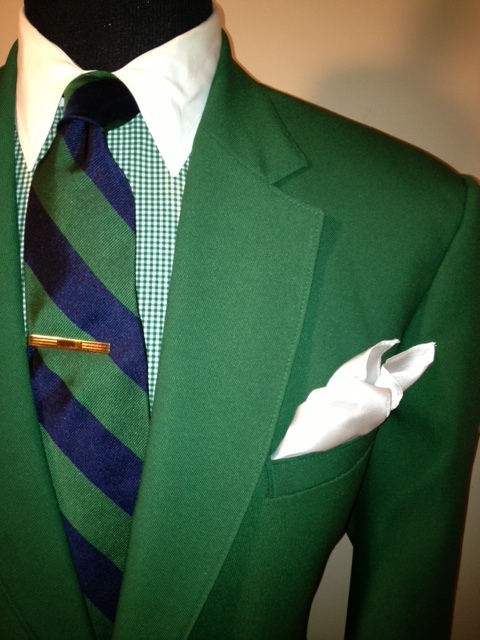 This entry was posted in Uncategorized and tagged Austin Reed vintage plaid blazer, Charlotte Style, green blazer with gold buttons, green Master's blazer, grey chalk stripe blazer, red blazer with brass buttons, The master's jacket, vintage chalk stripe blazer, vintage mens blazer, Vintage mens clothing, vintage mens sport coat, Vintage menswear, vintage menswear boutique, Vintage menswear clothing, vintage plaid blazer, wide lapel mens blazer, Wilbur Dow by wilburdow. Bookmark the permalink.